In making interactive installations with shiny surfaces that mirror their surroundings, Phillip K. Smith III has returned again and again to the sprawling landscapes of his native California. Raised in Coachella Valley, the desert has been an enduring site of inspiration in which a barren environment becomes two abstract strips of hot orange and blue. By inserting his large-scale reflective forms he distorts the sandy expanse into a series of shimmering impressions that change with every passing hour, and respond to the viewer’s movements. 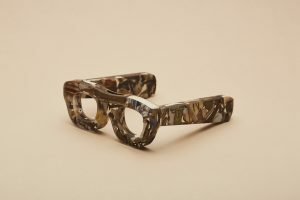 Smith now has a studio in Palm Beach, California and stretches of empty shore are another point of focus, whose installations unfurl and elongate to echo the coastline. 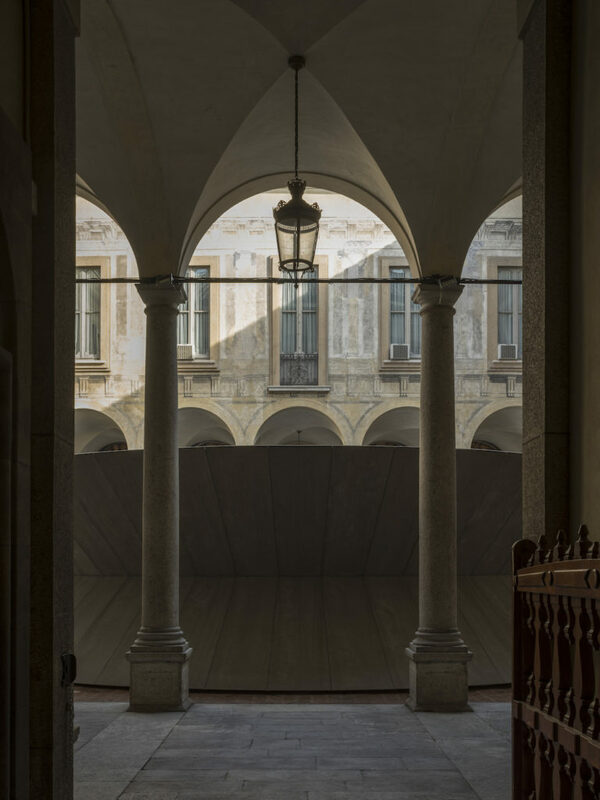 Uprooted entirely from the climate he has studied for so long and transported to another continent, Smith’s latest project OPEN SKY is a semi-circular structure built into the constricting square courtyard of Milan’s Palazzo Isimbardi. The artwork, the result of a collaboration with London-based fashion brand COS to create their 7th annual installation for the Salone del Mobile design fair this month, contends with the 16th century architecture and marks an exciting new innovation in Smith’s work. 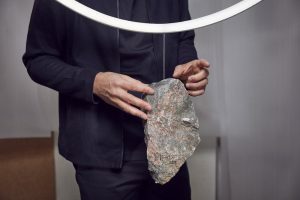 Smith spoke to Port about the collaboration with COS, the ways visitors interact with his art and how he found working in the urban setting of a courtyard in Milan. 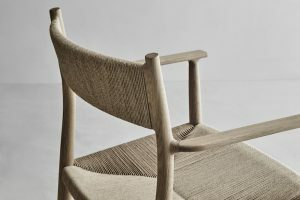 How did you come to be involved with COS and the project at the Salone del Mobile? COS reached out directly to me. My work had been on their inspiration boards for a few years and when they were thinking about commissioning an installation in their first ever outdoor space, my work made sense. COS has worked with a terrific group of artists and designers over the past few years, and I am honoured to be part of that lineage, but also to be given the chance to participate in a process that is artist-focused from conception to realisation. 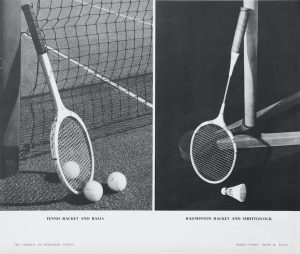 In what ways does OPEN SKY respond to Palazzo Isimbardi in Milan? I wanted to pull the sky down to the ground, to make the sky physically present. 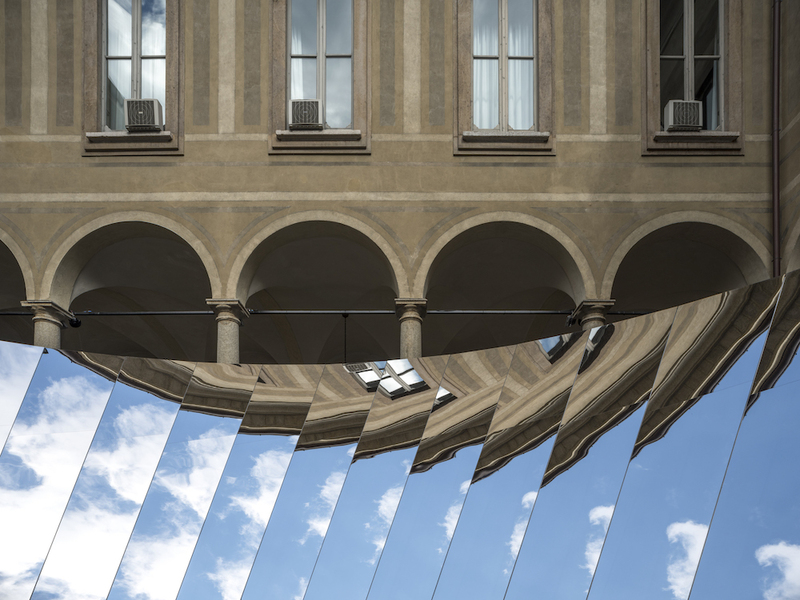 The installation is created in direct response to its location at the Palazzo Isimbardi, using both the framed sky above and the enveloping 16th century Renaissance architecture. I wanted to create an ever-changing sense of discovery of the built and natural environment. I wanted to slow the pace of experience from the moment people enter the palazzo off of the streets of Milan, so that people would be open to the subtle shifts in light and the passage of time expressed through the shifting sky. How do you see people interacting with OPEN SKY? 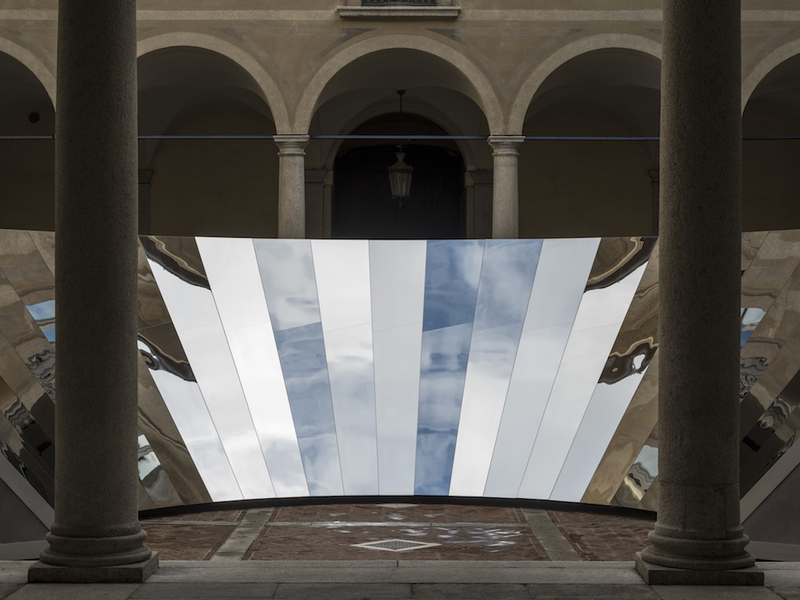 As viewers navigate the installation and palazzo, their angle of reflection changes in relation to the architecture creating a dynamically shifting collage of sky and architecture, diagonally laid out across the 14 metre diameter reflective surface. This re-collaging of the surroundings opens one’s eyes to the beauty that is in front of them. The entire experience is a slowing down, from the streets of Milan to walking through the entry archway of the palazzo to walking around the abstract, tactile light and shadow exterior surface of Open Sky. The sense of pace slows and the sounds are quieted. Finally, people will pass through the palazzo and out into the garden where there are five freestanding Reflector sculptures that have been sited. These works interact with the sky, garden, and architecture of the interior of the block. I hope that people will use the benches and sit for a while so they can fully appreciate the surrounding beauty and atmosphere. Many of your recent installations stretch out across beaches and deserts in your native California. How did you find this project compares to your past work? Milan, certainly, is a new environment for me with its urban reality. When you are out in the middle of the desert, your view can be easily distilled into just to elements: land and sky. However, while all of Milan exists past the perimeters of the building, within the courtyard of the palazzo the experience can still be distilled into just two elements: sky and architecture. Standing since the 16th century, Palazzo Isimbardi is at the centre of Milan’s history. In what ways might OPEN SKY allow visitors to view or experience the building in a new light? The installation works as a tool for viewing. It is an interactive experience that requires the architecture and sky as materials and the viewer as the activator. While nearly 400 years separates the inception of the palazzo and this installation, there is a seamless, timeless merging of art, architecture, environment, light, perception and viewer.